de Haas, Hein, Simona Vezzoli and María Villares-Varela. (2019). Opening the floodgates? European migration under restrictive and liberal border regimes 1950-2010 . MADE/IMIn working paper no. 150. International Migration Institute Network. de Haas, Hein et al. 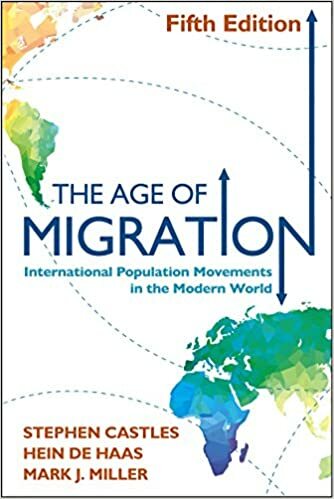 (2018) International Migration: Trends, determinants and policy effects. DEMIG/IMIn Working paper no. 142. International Migration Institute network. de Haas, Hein and Sonja Fransen. (2018). Social transformation and migration: An empirical inquiry. MADE/IMIn Working paper no. 141. International Migration Institute network. Vezzoli, S, Bonfiglio, A. and Hein de Haas (2017). Global migration futures: Exploring the future of international migration with a scenario methodology .DEMIG/IMI Working Paper no. 132. Oxford: International Migration Institute, University of Oxford. Czaika, M., de Haas, H. and María Villares-Varela (2017). The global evolution of travel visa regimes: An analysis based on the DEMIG VISA database. DEMIG/IMI Working Paper no. 134. Oxford: International Migration Institute, University of Oxford. de Haas, Hein and Katharina Natter (2015). The Determinants of Migration Policies. Does the political orientation of governments matter? DEMIG/IMI Working Paper no. 107. Oxford: International Migration Institute, University of Oxford. de Haas, Hein and Marie-Laurence Flahaux. (2016) African Migration: Exploring the role of development and states. DEMIG/IMI Working Paper no. 105. Oxford: International Migration Institute, University of Oxford. de Haas, Hein (2014) Migration theory: Quo vadis? IMI Working Paper No. 100 / DEMIG Project Paper No. 24. Oxford: International Migration Institute. Czaika, Mathias and Hein de Haas (2014) The Effect of Visa Policies on International Migration Dynamics, IMI Working Paper 89 / DEMIG Project Paper No. 18, International Migration Institute, University of Oxford. Czaika, Mathias and Hein de Haas (2013) The globalisation of migration: Has the world really become more migratory? DEMIG/IMI Working Paper, International Migration Institute, University of Oxford. Naudé, W., J F Maystadt, A de Brauw, R Lucas, F Gubert, F Wouterse, and H de Haas (2013) The Development Potential of Migration: the status quo, lessons from the other regions, and implications for research, Thematic Research Note 04, International Food Policy Research, West and Central Africa Office. de Haas, Hein and D Jolivet (2012) ‘The effect of perceptions in migration aspirations: multivariate analysis’ in Cross-country analyses and theoretical conclusions, Report WP9, EUMAGINE Project Paper 13. 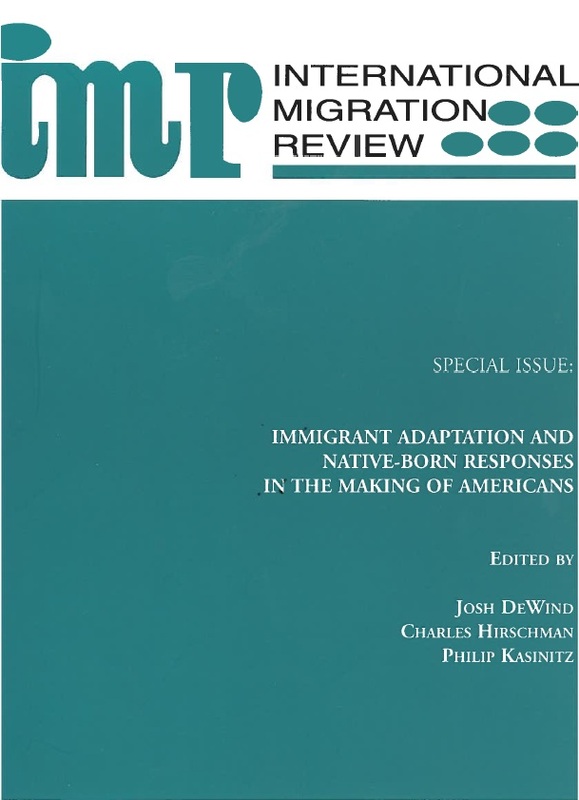 Bakewell, Oliver, Hein de Haas, and Agnieszka Kubal (2011) Migration systems pioneers and the role of agency, IMI working paper 48, International Migration Institute, University of Oxford. Czaika, Mathias and Hein de Haas (2011) The effectiveness of immigration policies: A conceptual review of empirical evidence. DEMIG/IMI Working Paper, International Migration Institute, University of Oxford. de Haas, Hein and Simona Vezzoli (2011) Leaving matters: the nature, evolution and effects of emigration policies. DEMIG/IMI Working Paper 34. International Migration Institute, University of Oxford. de Haas, Hein (2011) The determinants of international migration: Conceiving and measuring origin, destination and policy effects. DEMIG/IMI Working Paper 32. International Migration Institute, University of Oxford. Kubal, Agnieszka, Oliver Bakewell and Hein de Haas (2011) The evolution of Ukranian migration to the UK: A THEMIS scoping study, International Migration Institute, University of Oxford. Kubal, Agnieszka, Oliver Bakewell and Hein de Haas (2011) The evolution of Brazilian migration to the UK: A THEMIS scoping study, International Migration Institute, University of Oxford. Kubal, Agnieszka, Oliver Bakewell and Hein de Haas (2011) The evolution of Moroccan migration to the UK: A THEMIS scoping study, International Migration Institute, University of Oxford. Czaika, Mathias and Hein de Haas (2011) The role of internal and international relative deprivation in global migration. DEMIG/IMI Working Paper. Oxford, International Migration Institute, University of Oxford. de Haas, Hein (2010) Migration transitions – a theoretical and empirical inquiry into the developmental drivers of international migration. IMI working paper 24. International Migration Institute, University of Oxford. de Haas, Hein & Simona Vezzoli (2010) Migration and development: Lessons from the Mexico-US and Morocco-EU experiences. 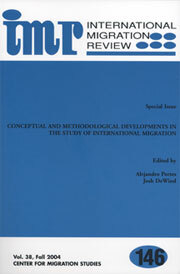 IMI working paper 22. International Migration Institute, University of Oxford. de Haas, Hein (2009) Migration system formation and decline. A theoretical inquiry into the self-perpetuating and self-undermining dynamics of migration processes. IMI working paper 19. Oxford: International Migration Institute, University of Oxford. de Haas, Hein and Tineke Fokkema (2009) Intra household tensions and conflicts of interest in migration decision making: a case study of the Todgha valley, Morocco. IMI working paper 17. Oxford: International Migration Institute, University of Oxford. de Haas, Hein (2009) Mobility and Human Development. IMI working paper 14. Oxford: International Migration Institute, University of Oxford. de Haas, Hein (2008) Migration and development: a theoretical perspective, IMI Working Paper 9, Oxford: International Migration Institute. de Haas, Hein (2007) North African migration systems: evolution, transformations and development linkages. IMI working paper 6. Oxford: International Migration Institute, University of Oxford. de Haas, Hein (2007) The impact of international migration on social and economic development in Moroccan sending regions: a review of the empirical literature. IMI working paper 3. Oxford: International Migration Institute, University of Oxford. de Haas, Hein (2006) ‘Turning the Tide? Why ‘Development Instead of Migration’ Policies are Bound to Fail’, IMI working paper 2. Oxford: International Migration Institute, University of Oxford. de Haas, Hein (2005) Migrants Change the Appearance of Morocco. MDR Working paper no 5.
de Haas, Hein (2005) International Migration and Regional Development in Morocco: a Review. MDR Working Paper no. 4.
de Haas, Hein (2005) Morocco’s Migration Transition: Trends, Determinants and Future Scenarios. MDR Working Paper no. 3.
de Haas, Hein (2005) International migration, remittances, and development: the need for more awareness. MDR Working paper no 1.
de Haas, Hein and Hassan El Ghanjou (2000) General Introduction to the Todgha Valley (Ouarzazate, Morocco): Population, Migration and Agricultural Development. IMAROM working paper series no. 5. Amsterdam : University of Amsterdam. de Haas, Hein (2000) Modelling for the IMAROM project. IMAROM working paper series no. 4. Amsterdam : University of Amsterdam. de Haas, Hein (2000) Striking a Balance. IMAROM working paper series no. 10. October 2000. Amsterdam : University of Amsterdam, 12 pp.